Come join us in an adventurous new way of understanding Shakespeares Sonnets, the154 consecutively numbered verses printed originally in 1609. This artistic masterwork has thrilled and moved millions of readers over the centuries, but the verses have been an enigma in terms of their meaning as well as their relationship to the author's life and contemporary history. 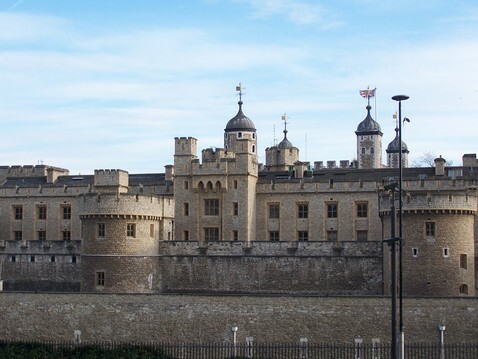 On this site a new way of reading the Sonnets is presented, one that brings them alive as a clandestine chronicle of political intrigue, passion, betrayal and commitment, leading to the royal succession and the end of the Tudor dynasty. The Monument solution to the Sonnets, as presented in The Monument (Meadow Geese Press, 2005), was the result of my own unexpected discoveries as I, an Oxfordian, read them over and over throughout the 1990s, trying to understand these enigmatic verses from the new perspective that Edward de Vere, 17th Earl of Oxford, was the true author. My journey began with a series of assumptions and hypotheses that had been shared by many scholars and critics over the past few centuries (Traditional Commentary on the Sonnets). 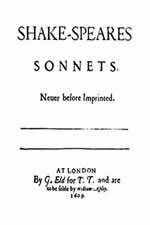 These premises included, for example, that the Sonnets are autobiographical and chronological; that the original edition itself is "authorial" or printed according to the author's intentions; and that the verses relate to real circumstances of the author's real life. It is this final premise that is most important here, for only with the "correct" author in place can anyone hope to then find the "correct" life circumstances that match up with the verses. Being an Oxfordian, I was sure that I had the correct author. As I proceeded in my readings each of these hypotheses were confirmed, but -- of even greater significance -- something else also emerged. 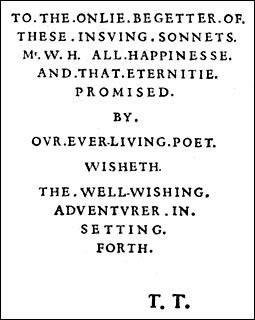 It became clear to me that the narrative content of these poems was keyed to both a real time frame in the author's life, and to a carefully constructed structure within the presentation/layout of the 1609 Quarto itself. Suddenly the pieces of the puzzle began to move into place to form a clear picture; and once the verses were aligned with contemporary events and their dates on the calendar, what unfolded was a flesh and blood story that challenges both the standard "official" versions of Elizabethan history and the traditional "orthodox" interpretations of the literature. The most startling aspect of this new picture was my realization that the 126 Fair Youth sonnets could actually be broken into two sequences, (1-26 and 27-126), with the 27-126 sequence then equalling exactly 100 sonnets, a favorite numerical device used by others poets of the day (Structure of the 1609 Quarto). Then I further realized that the first eighty of these 100 sonnets (27-106) were in chronological order (more than half the collection! ), addressed to the Fair Youth (Henry Wriothesley, Third Earl of Southampton) during the twenty-six months (1601 to 1603) he was imprisoned in the Tower of London as a traitor to the Crown in the Essex Rebellion. Finally it became clear that the next twenty sonnets matched up with the twenty days from Southampton's liberation to the day immediately following the funeral of Queen Elizabeth I, when she was "officially" dead and the Tudor dynasty was no more. And this string of precisely 100 emotion-laden sonnets -- recording Southampton's crime, disgrace, treason trial, death sentence, reprieve, continued imprisonment and liberation, leading to a new phase of his life in the next reign -- is positioned at the exact center of an elegantly structured monument to the Fair Youth (The 1609 Quarto as the Living Record of the Fair Youth). Anyone who has ever studied the Sonnets is aware that the majority of commentators for more than 100 years have believed that the 3rd Earl of Southampton (Henry Wriosthesley) was the Fair Youth, and that Sonnet 107 most likely alludes to his release from captivity in April 1603 upon the succesion of James I to the English Throne. It is also an established fact that the Poet was also a playwright, and that he wrote the play Richard II, performed on the eve of the Essex Rebellion and which most historians believe played a role in the Rebellion. As an Oxfordian, I could then add to these known facts the fact that the Poet was the Fair Youth's prospective father-in-law (there were marriage negotiations for the Fair Youth to marry the Poet's daughter (Elizabeth Vere) in the early 1590s), and that the Poet sat on the jury that sentenced the Fair Youth to death in February 1601 (Edward de Vere, Earl of Oxford was the highest-ranking, most prominent member of that jury; note the appearance of his name at the head of the trial arraignment document on the left). So, considering that the first seventeen sonnets were apparently about one known fact in the lives of the Poet and the Fair Youth (the 1590s marriage negotiations), I wondered how many other sonnets might be about another known fact that the Poet and Fair Youth clearly had in common: the Essex Rebellion. It was during these continued readings and re-readings that I was struck by the change in tone from Sonnet 26 to Sonnet 27 (in which the Fair Youth is now described as like a jewel "hung in ghastly night"), and how from Sonnet 27 onward something new seems to be going on between the Poet and the Fair Youth. From this observation came my realization that 1) the range of sonnets from 27 to 126 was exactly 100, and 2) that this entire sequence of 100 was concerned with just one event: the Essex Rebellion and its aftermath. In this light it then becomes impossible to avoid the testimony of the Sonnets that the author himself did indeed sit on the jury of peers at the treason trial of Southampton and Essex on February 19, 1601 at Westminster Hall. The incredible wealth of legal language that appears in the Sonnets (and especially in Sonnets 27-126) is easily explained by this simple fact. The issue between Poet and Fair Youth in the Sonnets is the legal predicament the Fair Youth is in, and the Poet's legal efforts to save him. I believe that The Poet, after having to join in the unanimous verdict condemning both Essex and Southampton to death, labored under extreme pressure to save the Fair Youth and gain the promise of his release from the Tower. And as history shows us, Southampton -- inexplicably -- was spared his death sentence, and just as inexplicably -- following the death of Queen Elizabeth in March 1603 -- he was released by the new monarch, James I of England, and fully restored. Southampton's special treatment is unique among all the attainted Essex rebels. 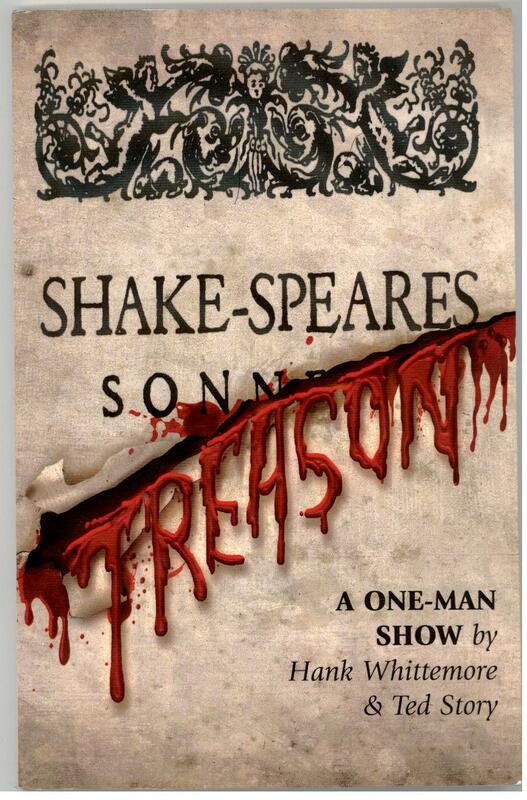 "Thy adverse party is thy Advocate," Shakespeare told Southampton in Sonnet 35, on the eve of the trial. It now seems clear that sometime afterwards a bargain was struck with Lord Burghley's little hunchbacked son and successor, Secretary of State Robert Cecil, requiring Edward de Vere to bury the truth about his own identity and his relation to Southampton, and the truth about the remarkable history of the peaceful succession of the English Crown from the childless Virgin Queen to the foreign Scottish King. It was the author's personal involvement in Southampton's tragedy and its aftermath that led him to record his thoughts and feelings within the 100 intensely wrought verses of what he eventually fashioned as the centerpiece of the 1609 Quarto. This new context for reading the Sonnets thus confirms the longstanding theory that The Poet was Edward de Vere, Seventeenth Earl of Oxford (1550-1604), hereditary Lord Great Chamberlain of England and the most active patron of literature and the drama during the Elizabethan reign. Oxford, educated from his early boyhood by the finest tutors, received honorary degrees from both Cambridge and Oxford before studying law at Gray's Inn. A writer for the stage, he was known as "best for comedy" in his day and deemed the "most excellent" of the courtier poets. Oxford's uncle, the Earl of Surrey (1517-1547), and Sir Thomas Wyatt (1503-1542) had written the first English sonnets in the form to become known as the "Shakespearean" form; and Edward de Vere himself wrote the first such verse recorded in the Elizabethan reign ("Who taught thee first to sigh?"). Oxford also had a volatile relationship with the Queen, as well as with her powerful chief minister, William Cecil, Lord Treasurer Burghley, who was his father-in-law. 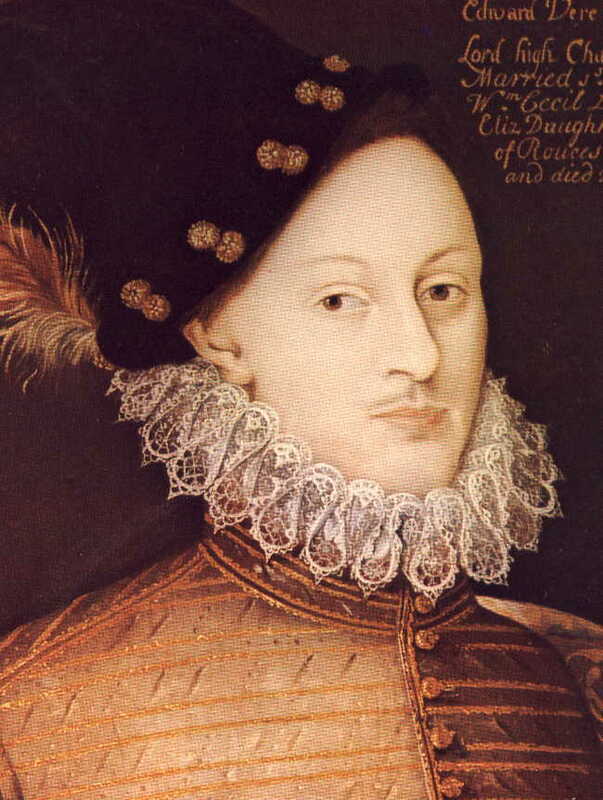 Based on the contents of the Sonnets, it is a reasonable conclusion that Edward de Vere was not only the Queen's lover in the early 1570s, as the Court gossip strongly suggested, but also that he may have fathered with her an unacknowledged royal son who was raised to become the Third Earl of Southampton. This is the infamous "The Prince Tudor Theory" which has bedeviled the authorship debate for almost as long as there has been an authorship debate. Still, once Oxford is perceived as writing to and about Southampton as both the devoted father and the loyal subject of an unacknowledged prince, the tone and urgency of the verses is easily explained, and a clear window is opened on events leading up to, and immediately following, the Queen's death and the succession of James in the spring of 1603. Furthermore, the new context provided by The Monument eliminates any lingering doubt that Southampton was the younger man known as the Fair Youth of Sonnets 1-126 and the primary subject of all the other verses as well. And the evidence also makes clear that the powerful, deceitful Mistress known to us as the Dark Lady, whom the poet addresses in Sonnets 127-152, could only have been Queen Elizabeth, the Sovereign Mistress of England. The crucial element here is the real world context of time and circumstance: Her Majesty was keeping Southampton in her royal prison fortress for having played a lead role in the failed Essex Rebellion of February 8, 1601, when he joined Robert Devereux, Second Earl of Essex, in an attempt to gain control of the government and determine the royal succession. 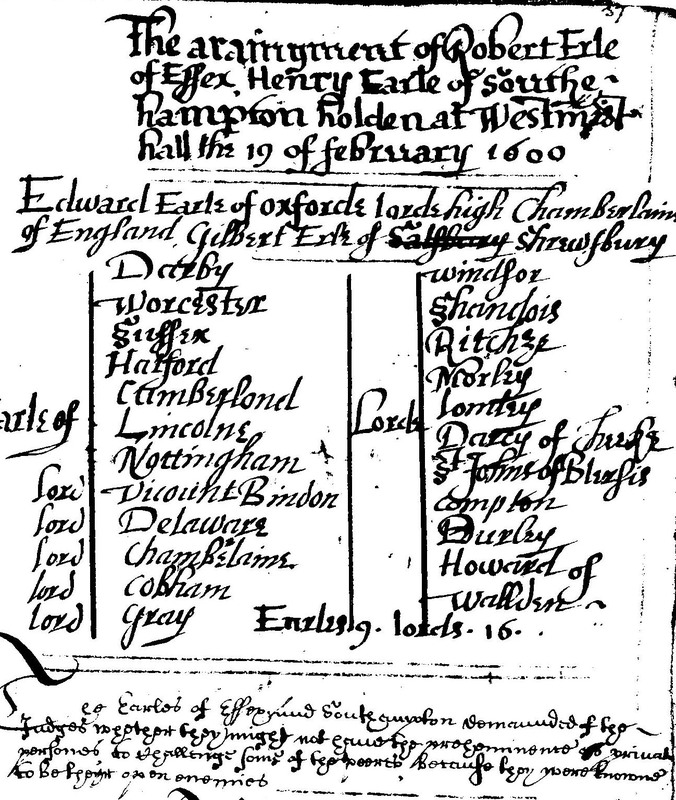 Since these findings first came into view, I have often wished they could be presented initially without the implications they necessarily raise about the identity of the author, his relationship to Southampton and the political history of the Elizabethan reign. Sometimes a basic solution to a problem can trigger such heated debate over its ramifications that the solution itself is discarded along with its postulates. In this case The Monument solution has collided head-on with "The Prince Tudor Theory," resulting in much heated debate among both Oxfordians and --- as can be seen in the latest anti-Oxfordian book, James Shapiro's Contested Will --- Stratfordians. But the larger point that must be emphasized here is that, regardless of the implications, all the elements of the sonnets can at last be seen as working in harmony, not only with each other but also within a detailed historical context -- something that has not been possible before now. Therefore the "Prince Tudor" implications of The Monument solution must not be allowed to scuttle the overwhelming evidence that the Essex Rebellion and Southampton's role in it are the key to understanding the underlying reality of the Sonnets. What also becomes clear from the new perspective offered by The Monument is that the publication of the 1609 Quarto was hardly an accident. It was, instead, a very carefully planned, deliberate act of defiance. After winning the power struggle behind the throne, Secretary Cecil had made sure Essex went to his execution and then held Southampton hostage in the Tower until the Queen's death and the peaceful succession of James, thereby retaining his power in the new reign. The underlying truth of this story was kept out of the historical record; but Oxford, by means of the "dynastic" diary of the Sonnets, produced a "monument" for Southampton to preserve "the living record of your memory" that contains the truth of what really happened; and like a message in a bottle, it was set adrift on the sea of Time in the hope it would make its way to the distant shores of posterity. This is why the 1609 Quarto was published, and also why it seems to have been suppressed almost immediately upon publication. "Who will believe my verse in time to come," he wonders in Sonnet 17, addressing his unacknowledged royal son, "if it were filled with your most high deserts?" And he goes on to predict that "your true rights" (to the throne as King Henry IX of England) will be "termed a Poet's rage and stretched meter of an Antique song" -- a forecast that has proved all too accurate, for far too long. I trust that all the pages on this site will convey my reverence for the creation of the Sonnets with their extraordinary beauty and power, as well as for the duality that allows them to be both universal and specific at the same time. My experience has convinced me that, far from diminishing our ability to appreciate these poems, knowing the real-life story serves to increase our recognition of their value on every level. "But I hope truth is subject to no prescription, for truth is truth though never so old, and time cannot make that false which was once true." The cunning Secretary had forced Oxford to sacrifice his identity, both as the father of the Queen's heir and as the author of the "Shakespeare" works dedicated publicly to Southampton, who had to renounce his own claim of succession in return for his life and freedom and a royal pardon. "You're the winner and therefore you get to write the history, but I've set down what really happened and your false official version will never be able to erase it. This truth is preserved in a monument for eyes not yet created and, in the end, it will be triumphant."